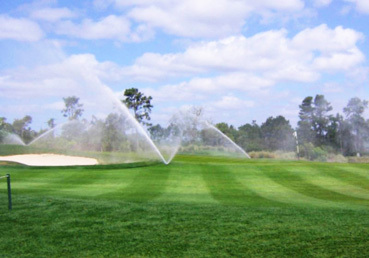 Fairway Turf Penetrator F conserves water that is lost through surface evaporation while optimizing water performance from irrigation or rainfall. 20% more active ingredient than comparable products, meaning you can apply less wetting agent or water less often. Only product on the market with the addition of a linear polyacrylamide which improves water and air movement in the soil. Reduces disease potential and cost associated with poor turf performance. Compatible in a tank mix with other products using conventional sprayers or with most liquid fertilizers in irrigation systems. Flexible application methods, maximum initial dose followed by monthly maintenance.